Qualifications: All candidates will be certificated through RDM Industrial Services Ltd.
Portable Power Tools Use, teaches the correct and safe use of a range of power tools such as Portable Drills and Saws. 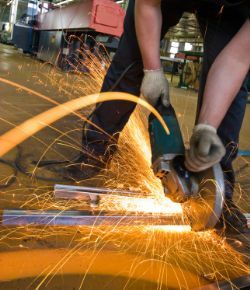 Course Aim - To enable operatives to use, identify the safe selection and operation of Portable power Tools in accordance with the relevant regulations. Suitable for - Persons who use Power Tool equipment as part of their daily duties .